The Business Principles describe the way we must act within society whilst achieving our business goals. One of the principles is business integrity that includes working against bribery and corruption. 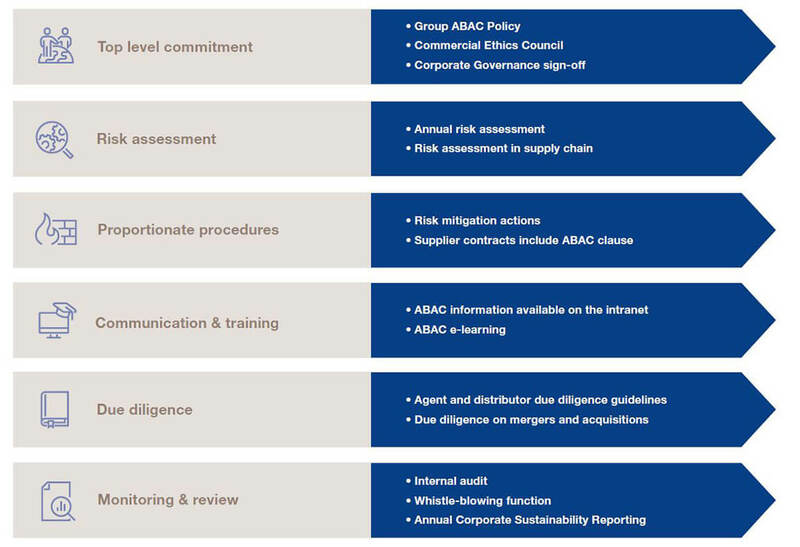 Alfa Laval has a zero-tolerance approach to bribery and corruption and our Anti-Bribery and Anti-Corruption (ABAC) programme builds on the six steps outlined in the UK Bribery Act and is based on a "prevent, detect and correct" methodology. The picture below shows the six steps. The process is based on an annual risk assessment. It also includes an analysis of the different actions taken to mitigate these risks. The international scope of Alfa Laval's sales means that we are active in several countries where there is a high risk of bribery. 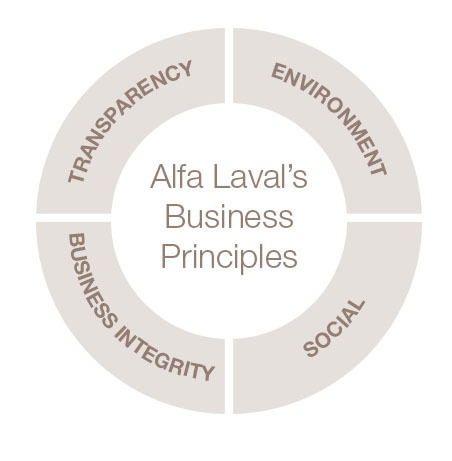 Alfa Laval uses Transparency International Bribery Risk Perception Index to assess geographic risk. Alfa Laval work with training and education to increase the understanding and awareness. In total, more than 5,500 employees have been trained in ABAC. We just launched a new training that is mandatory for all white-collar employees. 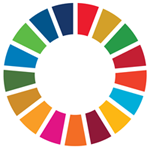 Goal 16 “Peace, justice and strong institutions” promote peaceful and inclusive societies for sustainable development, provide access to justice for all and build effective, accountable and inclusive institutions at all levels. One essential part of the target is 16.5 “To substantially reduce corruption and bribery in all its forms”. We cannot reach a sustainable development without tackling corruption and Alfa Laval continuously work to eliminate all form of corruption.